Sydney’s residential boom continued last weekend with the sale of 296 apartments at Ryde Garden within six hours, totalling a value of $180 million. Developed by Chinese property developer, Country Garden Australia, Ryde Garden is located in North Ryde in Sydney’s north west. It appealed to a predominately local market, with 80% to 90% of the buyers locally based. Prices ranged from $488,000 for a one-bedroom, $688,000 for a two-bedroom, and $888,000 for a three-bedroom. Bates Smart Architects designed 830 apartments over three buildings for Country Garden Australia, including a 2,100sqm centre park, childcare centre and fitness centre. Each building will also feature its own rooftop garden. 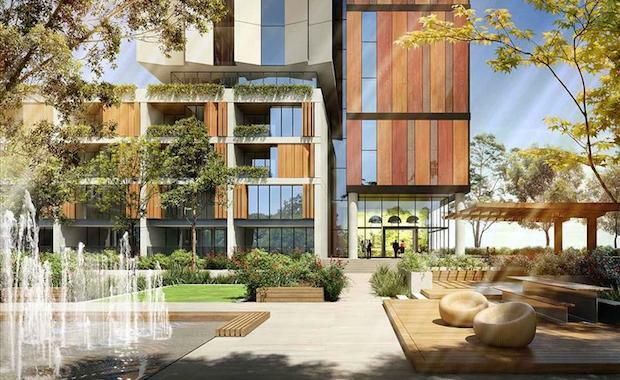 Country Garden bought their first Australian development site in late 2013 at North Ryde.